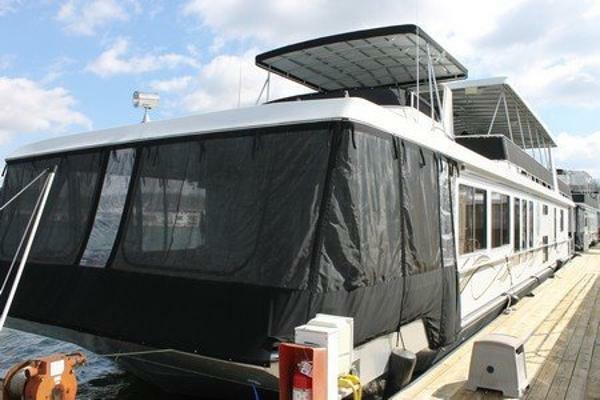 2005 Stardust Houseboats 100x20 Custom REDUCED!!! This custom houseboat is absolutely gorgeous!! Completely custom built with a nice, open floor plan and 3 nice patio areas! 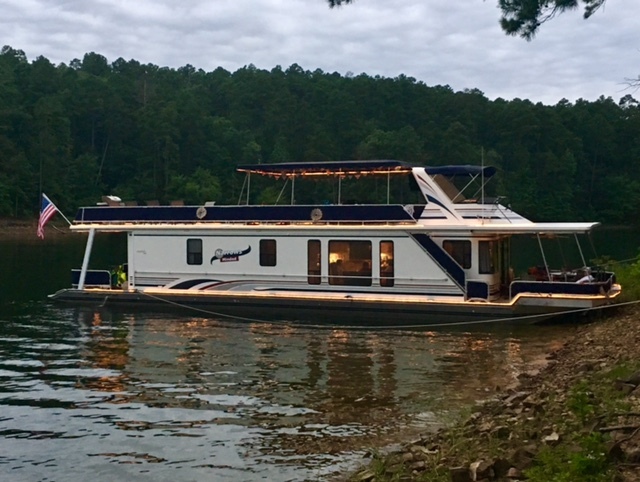 Everything in the construction of this boat was very well thought out, from the bedrooms, full laundry room, real wood cabinetry with granite countertops, and a beautiful wetbar upstairs! 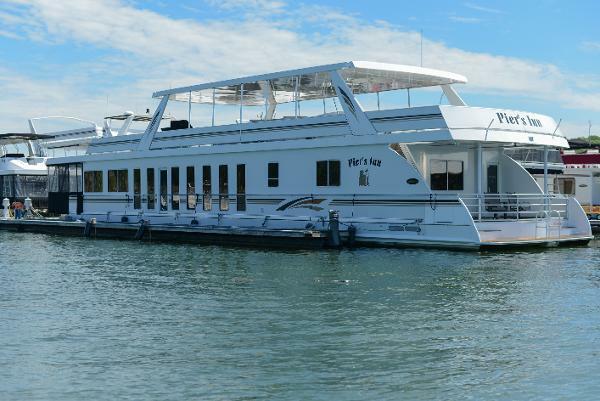 This boat has 3 staterooms and 3.5 baths!! 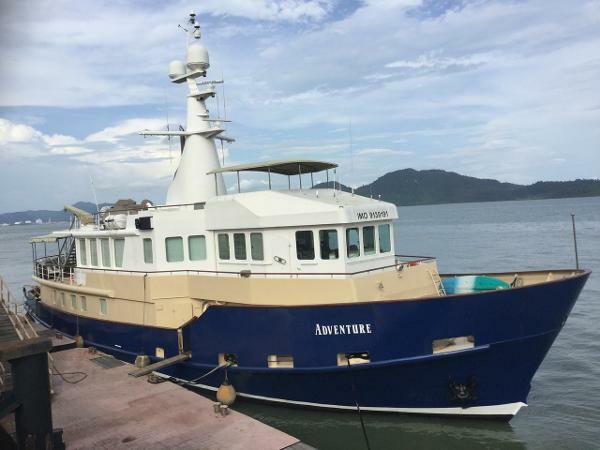 It is a truly one of a kind boat, and a must see!! 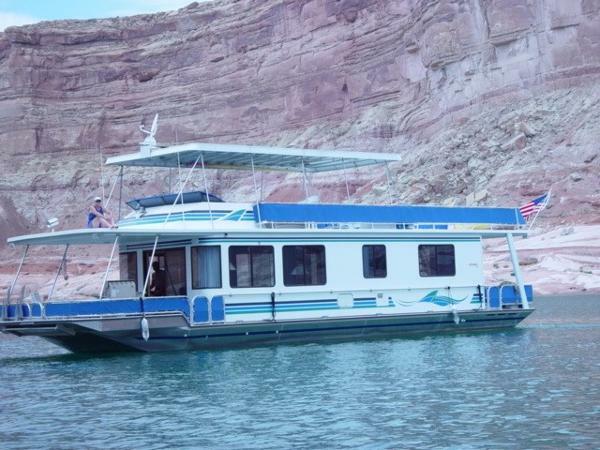 This houseboat is in excellent shape with many upgrades over the last several years. The flooring , carpeting, upholstery, and furniture are all in very good condition. The electronics were replaced in 2010. Stock #170714 Your Second Home is on the Water!! Come Look!! 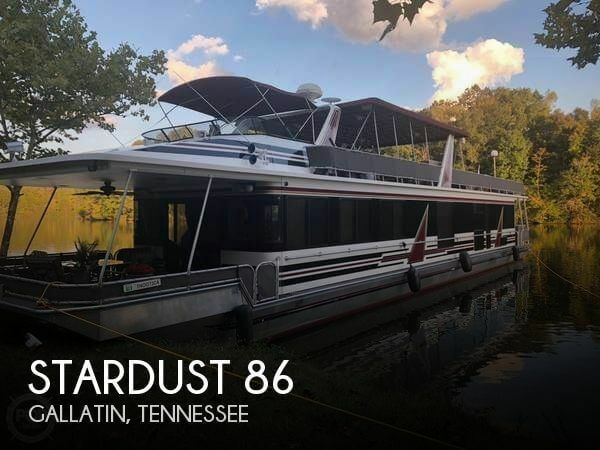 If you are in the market for a houseboat, look no further than this 1995 Stardust 18 x 86 Widebody, priced right at $323,000 (offers encouraged). 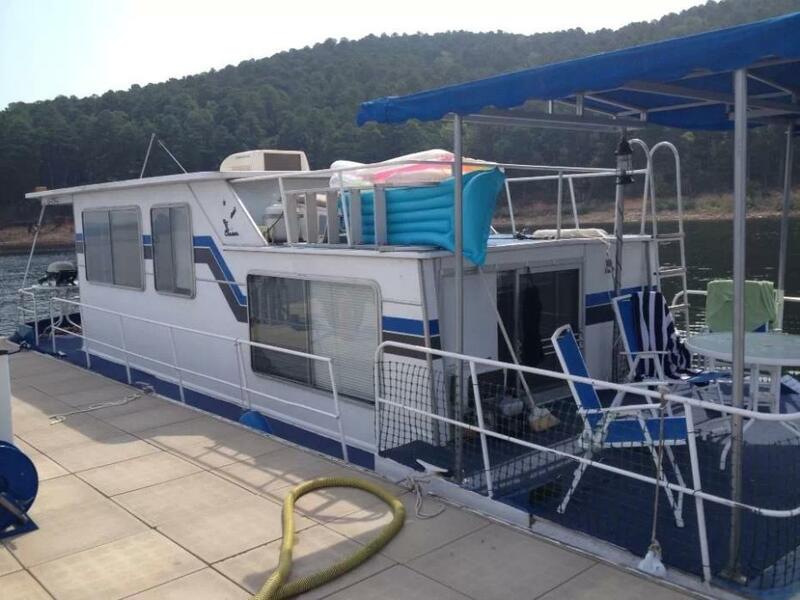 This vessel is located in Gallatin, Tennessee and is in great condition. She is also equipped with twin Mercruiser engines that have 1,027 hours. Reason for selling is divorce. 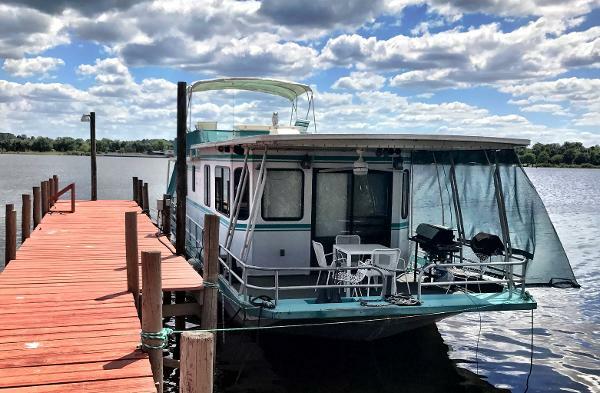 This houseboat is in good condition and very well taken care of, pulled out in the spring of last year (2017) and had new boots, impellers tuned up engines and all service done. Inside was also painted last year and top recoated with a 15-year warranty on coating Stock #156561 Nice 52' Stardust! Twin 2.5 Merc I/O's! Beautiful White Cabinets,SS Appliances! Huge Upper Entertainment Deck With Helm! 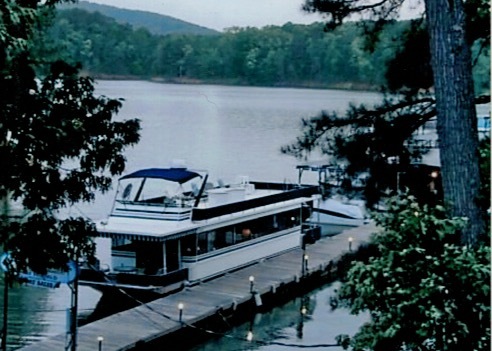 If you are in the market for a houseboat, look no further than this 1985 Stardust Cruiser 5214, just reduced to $70,000 (offers encouraged). 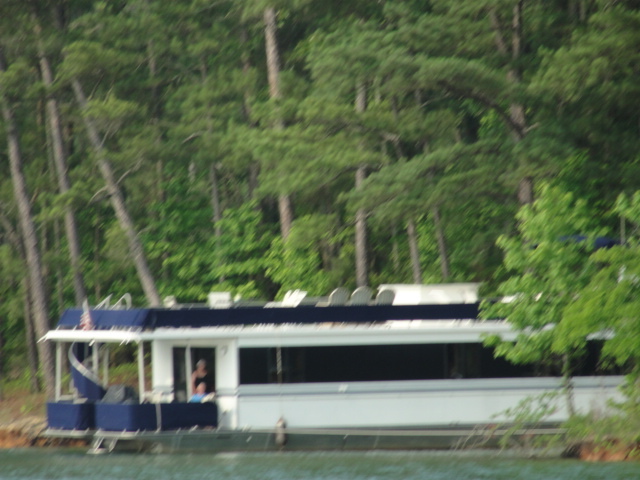 This vessel is located in Royal, Arkansas and is in good condition. She is also equipped with twin Mercruiser engines that have 745 hours. Reason for selling is don't use enough. 2001 STARDUST 17' x 86' Widebody Twin Mercruiser 5.0 Liter EFI V-8's 230 HP w/Bravo II's (Approximately 83 Hours), Westerbeke 15 KW Generator (Approximately 200 Hours), Bow & Stern Thrusters, 2500 Inverter w/6 Batteries, MMC Electronic Shifters, Rudder Angle Indicator, Remote Spotlight, Compass, VHF Marine Radio, Back up Camera & Monitor, Halon Fire Extinguisher System, Depth Finder, Fume Detector, AM/FM CD Player, Electric Smooth Top Range, Full Size microwave, Trash Compactor, Garbage Disposal, U-Line Ice Maker, SS Refrigerator w/Ice & Water in door, Full Size Washer & Dryer, Granite Counter Tops, Ceramic Tile Floors, 4 Bedroom King Master, 2 Full Bath's w/Jacuzzi Tub in Master plus Stand Up Shower, 35' Hard Party Top, Roof Bar w/Sink, Ice Maker, and Refrigerator, Twin PWC Ramps, w/Electric Winches, Roof Davit w/PWC carts, Grill, Rail Gates, Twin Aft Deck Lockers, Runabout Whips, Rope Lights Throughout In and Out, 4 Ton Central Heat/Air, 2-103 Gal Fuel Tanks, 200 Gal. Water, 2-100 Gal. Holding Tanks, 2-20 Gal. Hot Water Tanks, U.S. Coast Guard Documented, Twin 50 Amp Shore Power. Stays With Boat:Front, Back and Top Deck Furniture, All Interior Furniture, All Small Kitchen Appliances, New Silverware, Dishes, Pots & Pans, New Glasses, Linens, New Towels, New Dish rags, New Pillows, TV's, DVD & CD Players, All Exterior Decorations, Grill, Cove Ropes, Buoys, Tie-Up Ropes, Anchor, Central Vac, Bedspreads, Life Jackets, Fire Extinguishers, Interior Trash Cans. 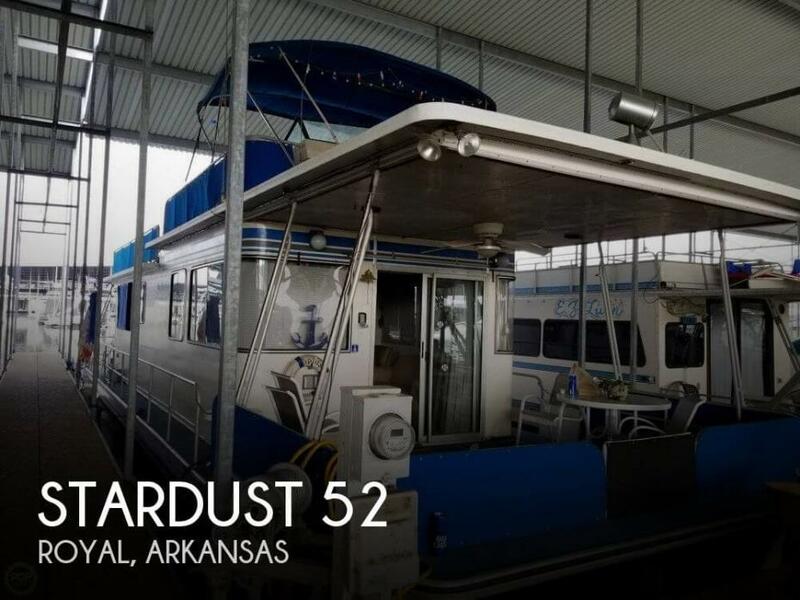 1986 Stardust Cruisers 5214 1986 52' X 14' Stardust, 3.0L Volvo, 12.5KW Westerbeke Generator, Complete Remodel Inside, New Appliances, New Floors, New Blinds, Beautifully Decorated, 2BR/1BA, Sleeper Couch in Living Room, Large Gas Grill, VHS Radio, Screen Enclosures Bow & Stern, Large Bimini Top Upstairs. Kept in Fresh Water St Johns River in Deland, FL. Shown by Appointment, Call or Text Steve 321-277-7800 @Holly Bluff Marina, Dealer for Volvo and Westerbeke Generators. 2003 Stardust Houseboat Royal Flush Share #29 Royal Flush 2003 Stardust Cruiser 75' x 16' Royal Flush is located at Antelope Point Marina dry storage. 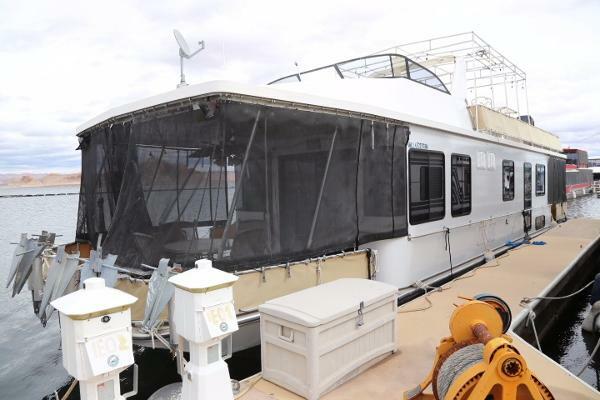 The turnaround fee for this houseboat is $750 and the annual maintenance fee is $1700. There are off-season options at $100 per day. Check on time is 8:00 AM check off time is 10:00 AM. Royal Flush features the following: 334 gallon long range fuel tanks 200 gallon toy tank with electric pump Twin 260 HP fuel injected mercruiser V8s 12.5 KW Westerbeke generator 12V house battery system 3000 W inverter with easy access hatch 200 gallon fresh water capacity 300 gallon holding tank capacity Anchors, lines, docking and mooring equipment Accommodations for 10 (sleeping for 18) Private master suite with King bed and full bath Two private suites with Queen beds One private suite with movable twin beds Queen sofa sleeper in front salon Range and oven Microwave Dishwasher 25 cubic ft. SBS refrigerator/freezer with ice maker Trash compactor Central AC and heating MCC controls Electronic and navigational equipment Marine radios Stereo system Entertainment system Satellite dish Upper deck fly bridge with controls Upper deck canopy and rope lighting Upper deck wet bar with sink and ice box Slide with water pump PWC davit and heavy-duty hoist Front deck BBQ grill Full size chest freezer on front deck Outdoor patio and deck furniture MORE PICTURES COMING SOON!